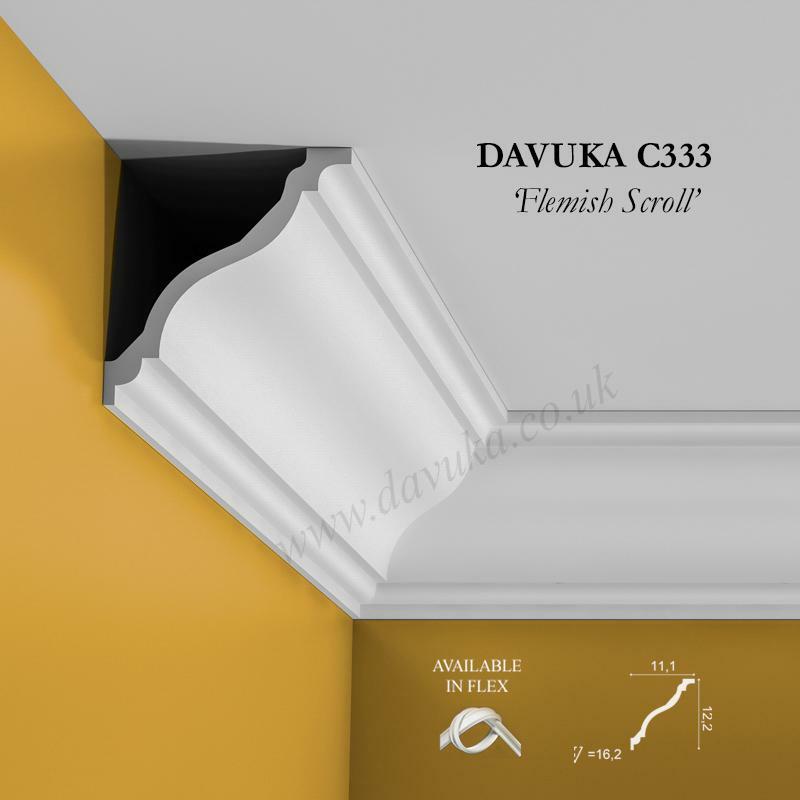 A classically large Victorian elongated ‘Egg & Dart’ design and a variant to the ‘normal’ designs in that the pattern is made in the middle of the profile rather than at the bottom of the cornice. 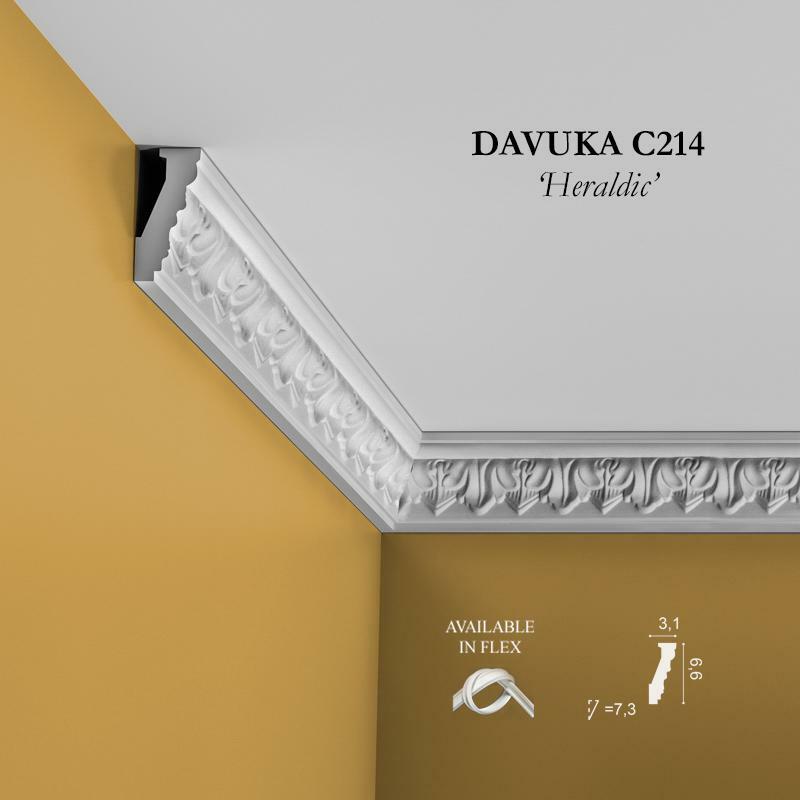 Goes well with the R77 ceiling rose. 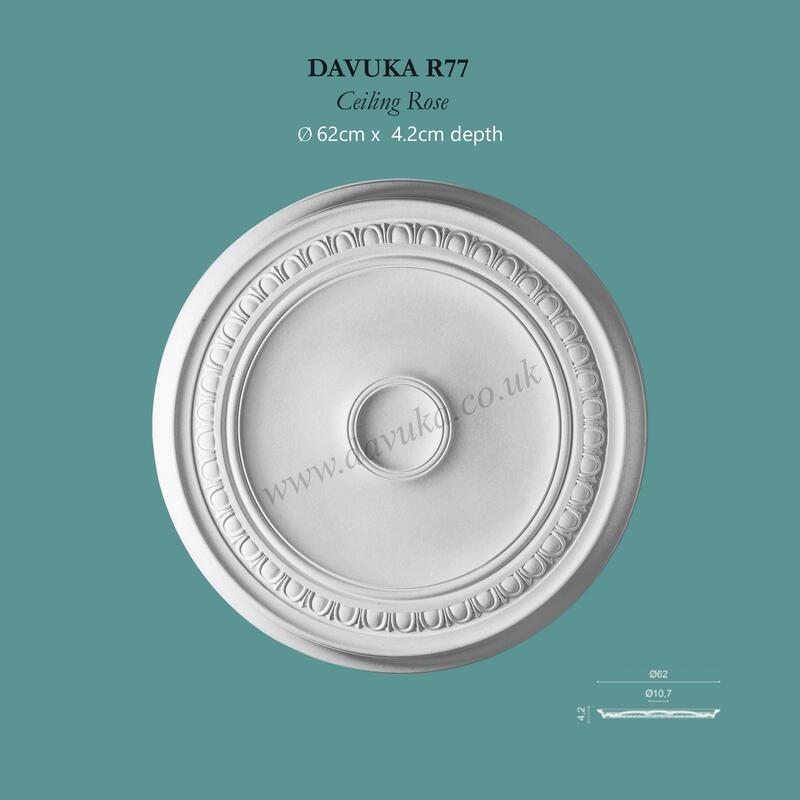 Supplied primed ready to pain. 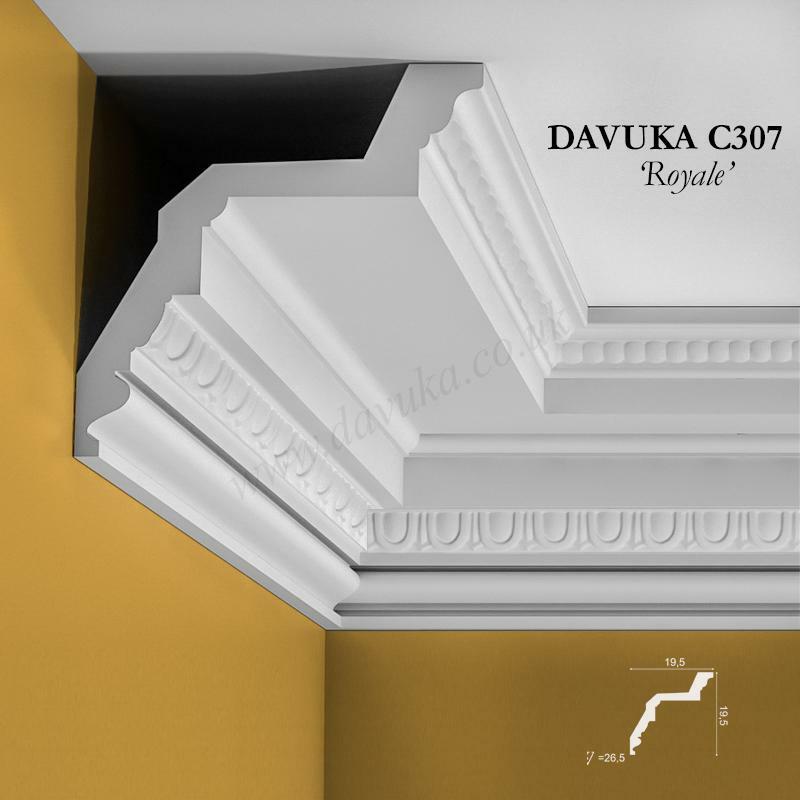 Suggestion: Looks great when the detail is painted a separate colour to the rest of the moulding. 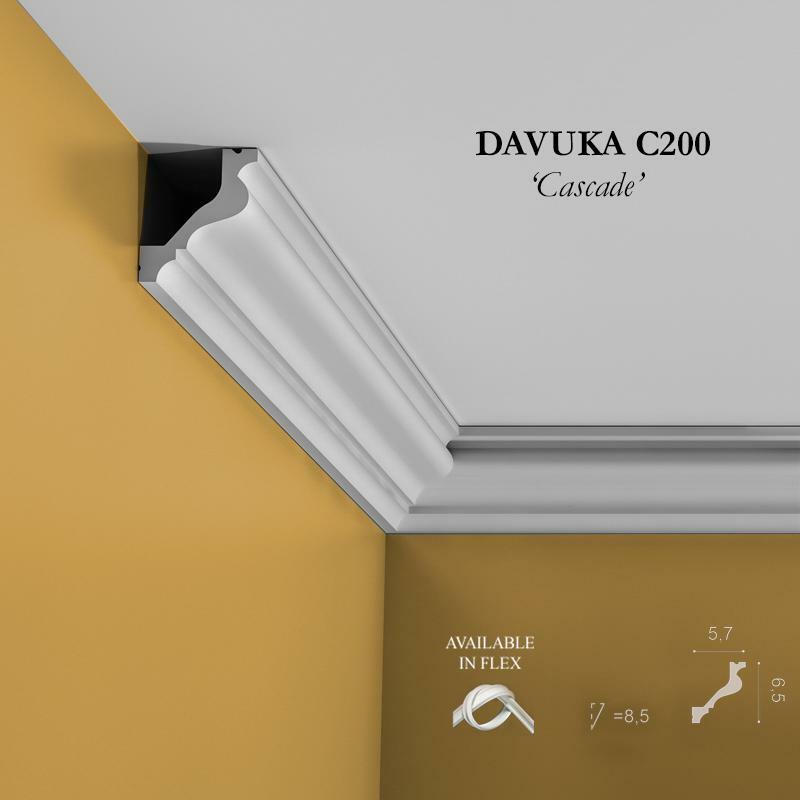 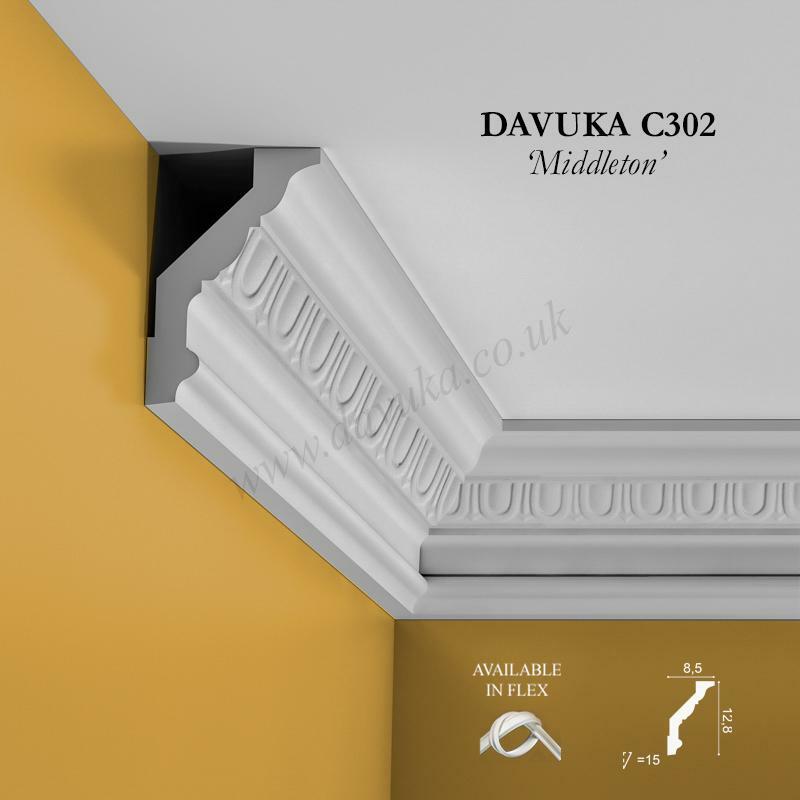 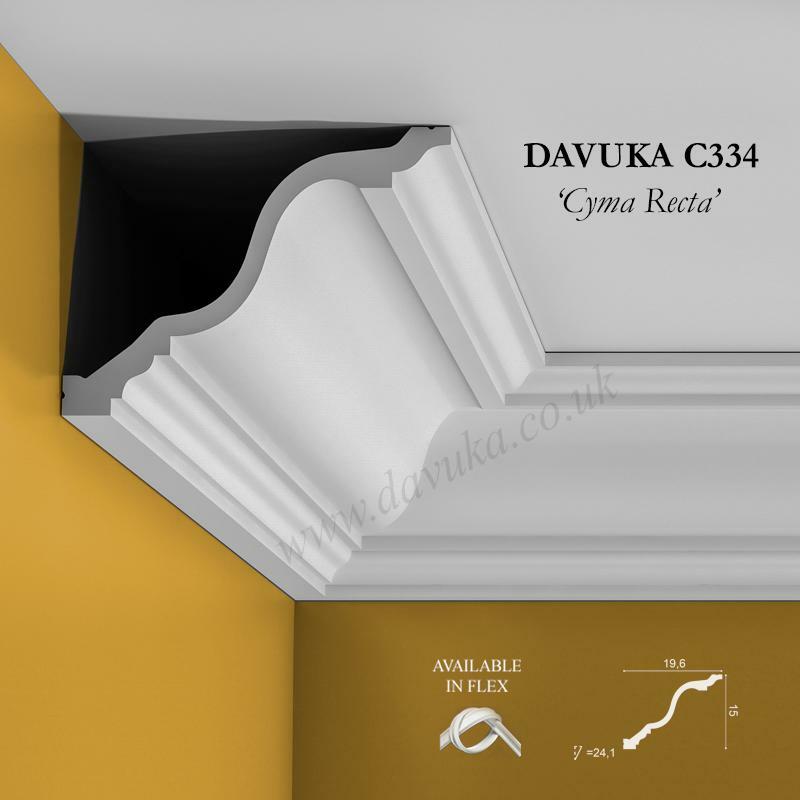 Using Correct Adhesives for the C302 ‘Middleton’ cornice – IMPORTANT!